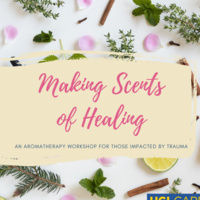 Participants will learn about the benefits of essential oils for addressing symptoms of trauma, design their own unique aromatherapy blends and create personalized tools for healing to be used as part of an overall self-care plan. Registration is encouraged to secure your place and materials, as space is limited. Email mmount@uci.edu to RSVP.